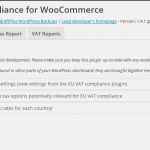 This plugin gives WooCommerce the ability to cope with the post-2015 EU VAT (IVA) laws for digital goods (including electronic, telecommunications, software downloads, ebook and broadcast services). This is essential for all sellers across EU borders. Identify your customers’ locations: this plugin will record evidence of your customer’s location, using their billing or shipping address, and their IP address (via a GeoIP lookup). Non-contradictory evidences: require two non-contradictory evidences of location (if the customer address and GeoIP lookup contradict, then the customer will be asked to self-certify his location, by choosing between them). 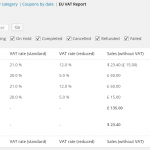 Evidence is recorded, ready for audit: full information that was used to calculate VAT is displayed in the WooCommerce order screen in the back-end. Display prices including correct VAT from the first page: GeoIP information is also used to show the correct VAT from the first time a customer sees a product. A widget and shortcode are also provided allowing the customer to set their own country (whole feature requires WooCommerce 2.2.9 or later). 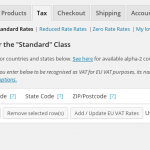 Entering and maintaining each country’s VAT rates: this plugin assists with entering EU VAT rates accurately by supplying a single button to press in your WooCommerce tax rates settings, to add or update rates for all countries (standard or reduced) with one click. Forbid EU sales for non-VAT exempt EU customers – for shop owners for whom EU VAT collection is too burdensome, this feature will allow you to forbid EU customers (optionally including or excluding those from your own country) who would be liable to VAT (i.e. those without a VAT number) to purchase. (WooCommerce already allows you to forbid *all* EU customers to check-out, using existing settings, if you prefer that). 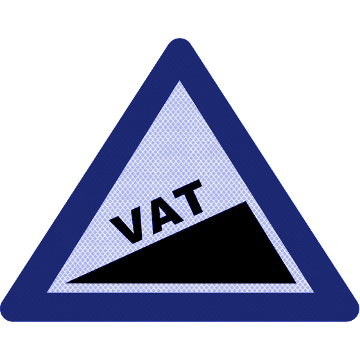 It is also possible to forbid EU sales for all goods subject to digital VAT, even for customers with a VAT number (whilst allowing them to purchase other goods). VAT-registered buyers can be exempted, and their numbers validated: a VAT number can be entered at the check-out, and it will be validated (via VIES). 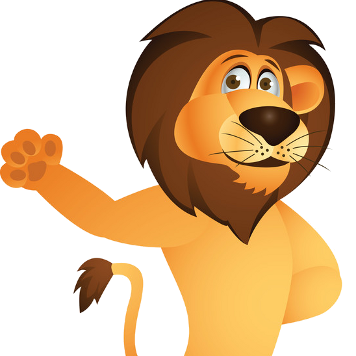 Optionally, a company name can also be required. 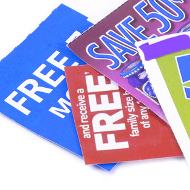 Qualifying customers can then be exempted from VAT on their purchase, and their information recorded. Different settings can apply to your shop’s base country. The VAT number is stored in the same format as the old official WooCommerce “EU VAT Number” extension; so, any tools you had that relied upon that will continue working. 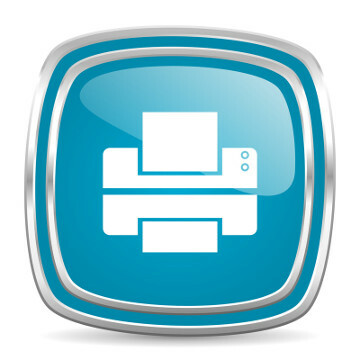 The VAT number will be appended to the billing address on PDF invoices. Mixed shops: You can sell goods subject to EU VAT under the 2015- digital goods regulations and other physical goods which are still subject to traditional base-country-based VAT regulations. 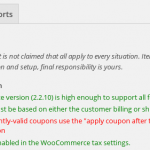 The plugin supports this via allowing you to identify which tax classes in your WooCommerce configuration are used for 2015- digital goods items. Currency conversions: Most users (if not everyone) will be required to report VAT information in a specific currency. This may be a different currency from their shop currency. 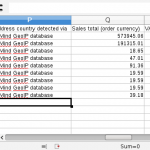 This feature causes conversion rate information to be stored together with the order, at order time. Currently available exchange rate sources are the official rates from the European Central Bank (ECB), Danish National Bank and HM Customs & Revenue (UK). Multi-currency compatible: if you are using the “WooCommerce currency switcher” plugin to sell in multiple currencies, then this plugin will maintain and provide its data for each order in both your shop’s base currency and the order currency (if it differs). Distinguish VAT from other taxes: if you are in a jurisdiction where you have to apply other taxes also, then this plugin can handle that: it knows which taxes are VAT, and which are not. 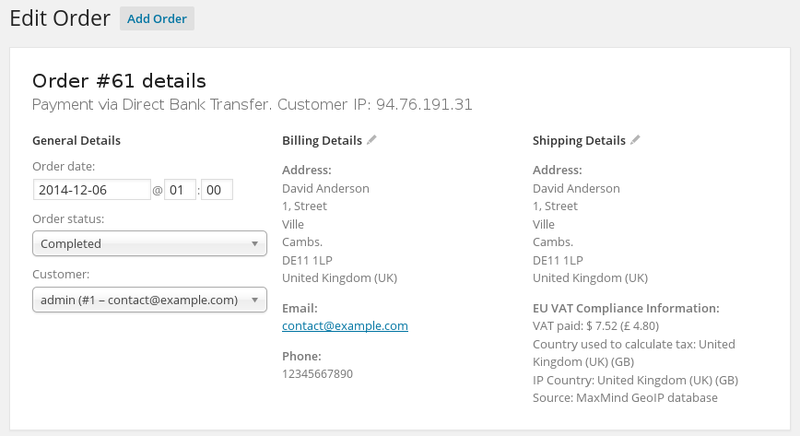 Add lines to invoices: If you are using the free WooCommerce PDF invoices and packing slips plugin, then a configurable line can be added to the footer, on VAT-liable orders. Different messages are available for orders on which VAT was levied, and those which were exempted due to entry of a valid VAT number; and also for non-EU tax-less orders. 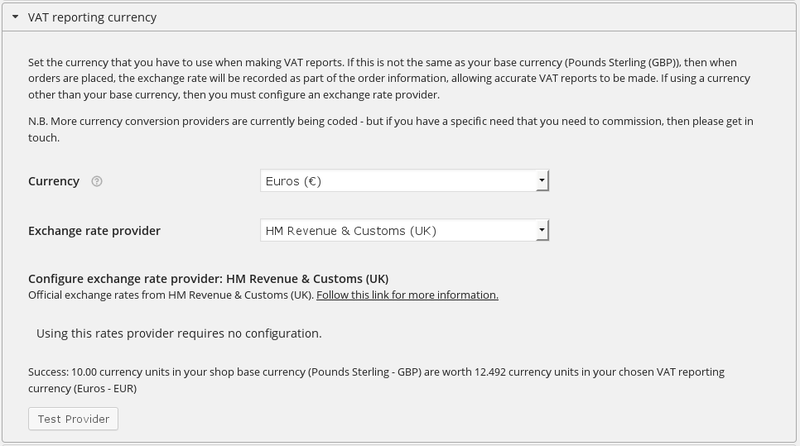 Same prices: Not strictly an EU VAT compliance issue (different pricing per-country is perfectly legal), but this plugin adds an option to enable WooCommerce’s hidden support for adjusting pre-tax prices to enable the same post-tax (net) price to apply in all customer locations. Refund support: Includes information on refunded VAT, on relevant orders. Reporting: Advanced reporting capabilities, allowing you to see all the information needed to make a MOSS (mini one-stop shop) VAT report. 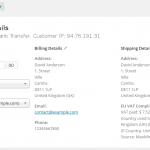 CSV download: A CSV containing all orders with EU VAT data can be downloaded (including full compliance information). A summary CSV sufficient to make MOSS returns can also be downloaded. 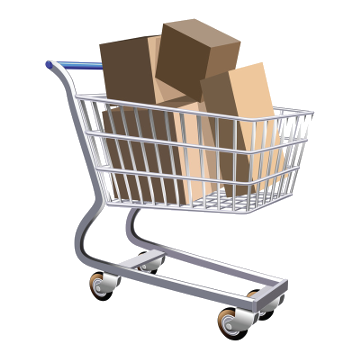 Note that most EU purchases also require an invoice to be issued to the customer showing the VAT charged on their order. This can be done out-of-the-box with the excellent, free, “WooCommerce PDF Invoices & Packing Slips” plugin, which we recommend (and use!). After buying this plugin, you should need to purchase nothing more to be able to be EU VAT compliant. So, why sign up to some expensive solution that’s going to lock you in for 10 years (the amount of time you need to keep records for), at expensive monthly fees? Tested and compatible with WooCommerce 3.0 up to 3.6, including the current release. (An earlier release is available for earlier WooCommerce versions if needed). Native translations available in English, Finnish, French and German – we also have a website where you can easily add further translations. Installation information: install this plugin in the usual way, by going to the Plugins -> Add New -> Upload screen of your WordPress dashboard. 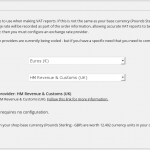 Configuration is then found in the WooCommerce -> Settings -> Tax screens. For FAQs about this plugin, please follow this link.